I completed 1/2 of the Valentines I'm making for my little girl to send to her friends/cousins. These are two of the more "girly" ones (I made nine total in this design). 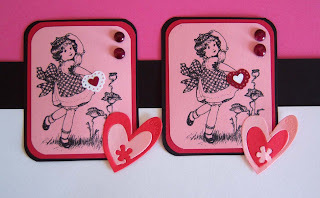 Martha Stewart Heart Border Punch ---- -See that valentine the little girl is holding? 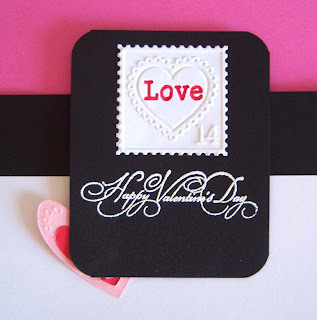 That's the heart border punch cut out in individual hearts. I punched one in white and one in red and made the opposite color as the punched out heart. Pretty pleased with myself on this one!